The Southern California Genealogical Society has announced the sessions that will be streamed live on the internet next week. 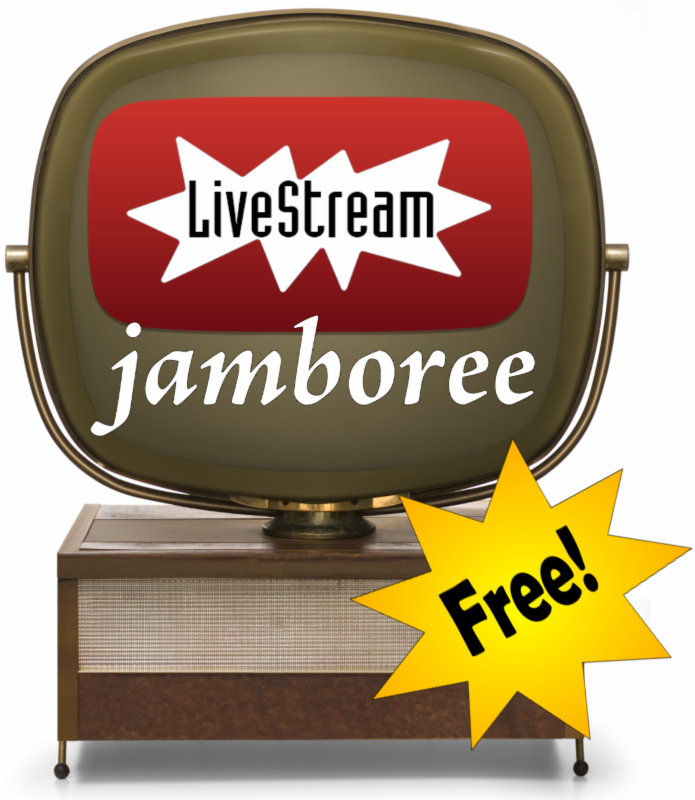 Thanks to diamond level sponsor Ancestry.com these sessions will be available for free. 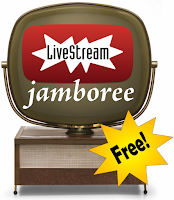 The email I received stated that session descriptions, speaker bios, and schedule details are provided on the registration site and will soon be posted on the Jamboree website. Click here to register. FR007: Be Prepared with a Genealogy Disaster Plan - Denise May Levenick. FR018: Five Tips for Successful Research in a New Location - J. H."Jay" Fonkert, CG. FR019: Genetic Genealogy and the Next Generation - Blaine T. Bettinger, PhD, JD and Paul Woodbury. FR032: Finding and Utilizing German Church Records - Dr. Michael D. Lacopo. SA007: Google Tools and Procedures for Solving Family History Mysteries - Lisa Louise Cooke. SA014: Tho' They Were Poor, They May Have Been Rich in Records - Paula Stuart-Warren, CG, FMGS, FUGA. SA021: No Easy Button: Using Immersion Genealogy to Understand Your Ancestors - Lisa A. Alzo, MFA. SA033: Plotting, Scheming and Mapping Online - Cyndi Ingle. SA035: Midwestern and Plains States Level Census Records - Paula Stuart-Warren, CG, FMGS, FUGA. SA047: Update: Google! Everything New that You Need to Know for Genealogy - Lisa Louise Cooke. SU005: Family History Adhesive: Science and Simple Tech 4 Binding Families - Janet Hovorka, MLIS. SU015: The Hidden Web: Digging Deeper - Cyndi Ingle. SU022: Who, What, When, Where? Using Journalism Techniques to Write Your Story - Anita Paul. SU030: Get to Know Your Geezers - Matthew Hovorka. I am excited to share the press release from the Virtual Institute of Genealogical Research. In honor of Memorial Day they are having a drawing for a free course, and everyone that registers this weekend will be entered in the drawing. There are some excellent courses that have just opened up for registration (Disclosure: I will be teaching one of the courses). RALEIGH, North Carolina, 22 May 2015. 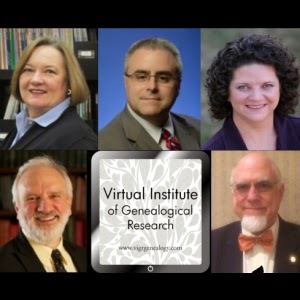 Registration is currently open for six upcoming courses offered by the Virtual Institute of Genealogical Research. In celebration of Memorial Day, the Virtual Institute is also offering a drawing for everyone who registers for a course between Friday, 22 May 2015 and Monday, 25 May 2015 at midnight (U.S. Eastern). Each registrant will be entered into the drawing to win a free additional course ($69.99 value). Those registering for multiple courses will receive multiple entries. Three winners will be drawn. The prizes can be applied to any standard course prior to 31 December 2016, not including the original course registration. 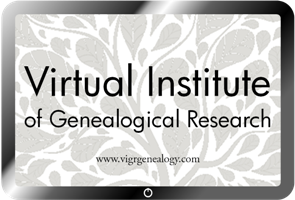 The Virtual Institute of Genealogical Research offers year-round online education on a wide variety of genealogical subjects. Each course consists of six hours of live instruction, extensive syllabus material, and practical exercises. Limited class sizes and a Plus course option allow for a higher level of class participation and instructor feedback than typically offered by genealogy webinars. For more information visit www.vigrgenealogy.com or email vigrgenealogy@gmail.com. If you are like me and missed attending the National Genealogical Society (NGS) Conference this week, then I would recommend visiting the NGS 2015 Conference Blog Compendium compiled by Randy Seaver on his Geneamusings blog. Every year, and for almost every major genealogy conference, Randy compiles a list of blog posts written about the conference. I enjoy reading about others' perspectives on the conference, and pick up tidbits of advice from the presenters via the bloggers. I appreciate Randy's compendium as he catches articles on blogs that I may not already follow. There is still time to get in some of the courses at the Genealogical Research Institute of Pittsburgh. There are openings in many of the courses, and the early-bird prices are good until May 15th. I am excited to attend the Practical Genetic Genealogy course and expand my understanding of using DNA in my research. here are many other courses to choose from, taught by some of the best instructors in genealogy. To register for any of the following courses, click here. Practical Genetic Genealogy with Debbie Parker Wayne, CG, CGL, CeCe Moore and Blaine Bettinger, Ph.D., J.D. Practical Genetic Genealogy with Debbie Parker Wayne, CG, CGL, Patti Hobbs, CG, and Blaine Bettinger, Ph.D., J.D. The early bird deadline for registration is May 15 for the discounted tuition price. Online registration will end June 19 for the courses being held June 28 – July 3, and July 10 for the courses held July 19-24.